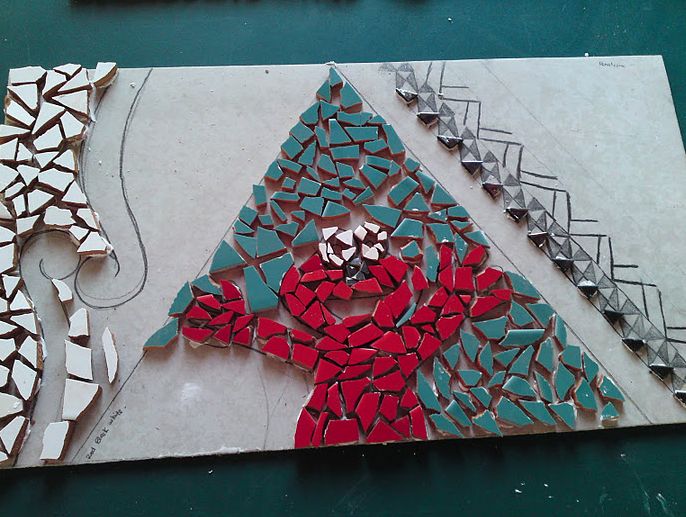 This Term our year 8’s have been designing a mosaic to show at Pt England school when we leave for College. 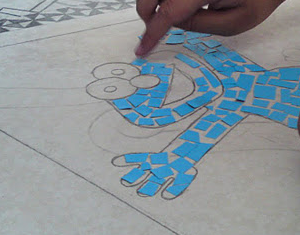 I have designed Elmo off Sesame Street because it looks like it saying welcome and that its red which is like our school color of our uniform. Before we put our tiles on we had to cut paper out we had no red so I practise with blue paper and take a picture to see what it may look like when we place the tiles on and glue them.